Regardless of how you feel about BlackBerry's hardware or the new BlackBerry 10 software, you have to give the company credit for having put together quite an impressive library of apps for the launch of BlackBerry 10. Sure, BlackBerry had to literally pay developers to port apps over, but 70,000 apps is nothing to sneeze at. And, now BlackBerry is welcoming "1000 of the top app partners" to BlackBerry World. BlackBerry hasn't yet been able to attract everyone, Netflix and Instagram are still in negotiations about building apps for the platform, but the list of app partners that BlackBerry released today is quite impressive. BlackBerry has apps from Bloomberg, CNN, Cisco, ESPN, MLB.com, EA Sports, Facebook, Twitter, Rovio, Rdio, Slacker, AccuWeather, SEGA, and a lot more. It's not totally complete, but it's a launch library that any new platform would be proud of. Of course, aside from Netflix and Instagram, the platform also doesn't have any official apps from Google, which means no Google Maps or YouTube. And, for some of you out there, those omissions alone may be enough to sway you from BB10. WATERLOO, ONTARIO–(Marketwire – Jan. 31, 2013) – A phenomenal lineup of top brands and applications have committed to the BlackBerry(R) 10 platform, giving the new platform the strongest content offering of any first generation mobile platform at launch. 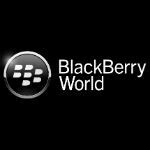 Yesterday at the BlackBerry 10 launch event in New York, BlackBerry(R) (NASDAQ:RIMM)(TSX:RIM) announced that 1,000 of the top app partners will be making their applications available on the BlackBerry(R) World(TM) storefront. The partners range from leaders in social media to the top games, sports, productivity, lifestyle apps, and more. - Disney Mobile Games: Where’s My Water? and Where’s My Perry? Continuing to build out a rich and robust content offering for BlackBerry 10 customers, on January 28, BlackBerry announced content partnerships with leading music labels, movie studios and TV broadcasters making BlackBerry World a one stop shop for all app, games and multimedia content for BlackBerry 10.
lm glad for blackberry an now sell ur phone blackberry !!! So has anybody tried to use the browser for youtube? If that works who needs an app?